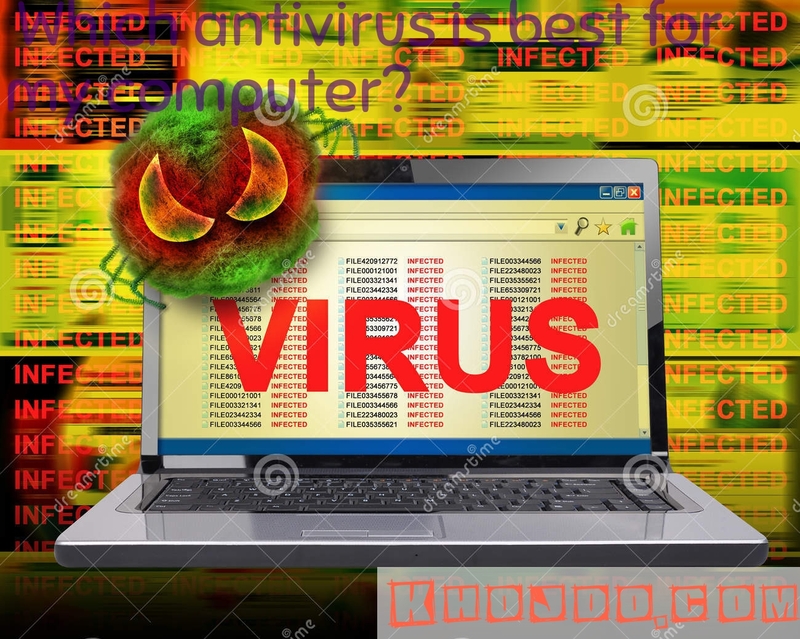 Hello friends, Today you’ll know about antivirus software from here and which antivirus is best for my computer? Everyone started to use computer or laptop because of the work you had to do outside the home, now you can do it by sitting in your house comfortably with the help of your computer. But when you connect your computer to the network, the chances of getting virus in your computer increases. Sometimes it happens that you plug your pen-drive in your system then virus enters into system and you may have to take a lot of damage. But to avoid this problem, there are some such programs available in the market today. From which you can protect your system from all these viruses. This will keep your system always safe, whether you connect your system to the network or share any files. There will be no damage to your system if you install the antivirus. Antivirus is designed to protect from system from Virus. Now you need to install a better antivirus for your system but before that you should need to know about virus or antivirus an how they work? So let’s first know about the virus, then you will learn complete antivirus software information and which antivirus you need to install? Virus is a small program which can be combined with any file. Whenever you connect your computer to the network, there are some websites that you open and virus enter into your system or if you share data with anyone through memory device then virus also enters into your system by infected memory device. It starts corrupting all your files and sometimes your system fails, then all your data is deleted. Your system gets slowed once the virus enters and system stop working. But with antivirus you can protect your system. Let’s know about antivirus. Antivirus is a type of program which protects your system from all viruses. When you install antivirus in your system, then they scan your entire system. The most viruses in your system are chances to come from email. Therefore, antivirus emits all the viruses in your system very easily. You hardly know that which one was the world’s first antivirus. In the first place in the world, “Creeper” virus was observed in the Tennex operating system in 1971, “Reaper Antivirus” was made to stop that virus, which completely eliminated that virus from the computer. Your antivirus works in phase 3, so that it can keep your computer safe. If you want to scan your system quickly, then select the Quick Mode for it. This will scan your system very quickly and the scanned result will show you the list of viruses in front of you. If you want to remove the virus from your system then select the option of delete that virus from that scanned result list. In this mode you can scan all the files in your system but it will takes time. Because this will remove all Trojan like viruses from your system and keep your system safe. These modes give moderate security to your system. This mode has the most protected mode in the antivirus software. In this, all the files in your system have different scans and it takes a lot of time but it will remove all Virus from your system and keep your system safe. Now you need to install that antivirus in your system which keep your system safe from viruses. Now-a-days there will be lots of antivirus in the market. Let’s know about some antivirus. In market you’ll get both Paid or free antivirus. But for you better option is that you choose Paid Antivirus because they give more security features and keeps your system more secure. So, let’s know which antivirus is best fit for you. Below are some of the antivirus programs that helps to keep your system protected. Which antivirus i installs in my computer? If you’re using windows operating system, then windows comes with its own antivirus installed which works very well which is Windows Defender. For this, you have to go to the settings of your computer system and open it from the Security Option. In this you will see a window defender option. Click on it and turn on your window defender. Now your system will be fully protected and you don’t need to install any other antivirus in it. But even if you want more security then you will get many third-party software. Some of which I will tell you below. Quickheal Antivirus easily available in the market. But for this you’ll need to give little more money. You’ll not get this software for free, it’ll provide you better security. If you can spend a little money, then this antivirus will be good for you. If you want free antivirus on your system then your AVG antivirus is best. This will provide moderate security to your system. You do not need to spend any money for this and you can keep your system safe by using it. This is one of the best antivirus, you can also download it for free. You can use it for a trial version for one month. For which you just have to register yourself, then you can use its security features. But after a month’s trial you will have to pay it for which you will get it with validity for up to a year. This is one of the best antivirus in the world, you will find it easily in the market. Below is a list of some other antivirus software that you can use. After installing antivirus, you should keep some below things in mind. Keep your antivirus updated so that it can recognize new viruses and keep your system safe. Use that antivirus for your system which remove all the viruses easily, and also work for the new virus. So friends, now you understand what is virus and antivirus? Which antivirus is best for my computer? So quickly follow above tips and secure your computer.